It’s becoming increasingly important to engage with your customers even after the sale is secured. After all, it’s easier and cheaper to retain a customer than it is to attract a new one. In fact, loyal customers are 5x as likely to repurchase. They’re also 5x as likely to forgive a bad experience and 4x as likely to refer your brand or products to a friend. Not only that, loyal customers are 7x more likely to be early adopters of any new products or offerings you announce. In this post, we’ll share eight tactics to help build customer engagement and successfully retain it after the checkout. First, let’s take a little deeper look into why this is so important. Why is engaging after the checkout important? Building long-term customer relationships are crucial. Acquiring a new customer is anywhere from five to 25 times more expensive than retaining existing ones. It’s not enough to stop at retention anymore. The funnel now extends to include expansion and advocacy. The expansion phase is when your customer purchase habits expand to include more of your product offerings. This can mean they buy newly released products or begin purchasing complementary offerings. The advocacy phase is when your customers become your marketers. They recommend your brand and products to others, helping to grow your loyal customer base and business. Strong customer engagement can allow you to increase traffic and sales. Not only that, you can achieve it with less effort and investment than finding new leads. It will lower your marketing costs and improve your return on investment. Research shows that 55% of customers are willing to pay more for a better customer experience. 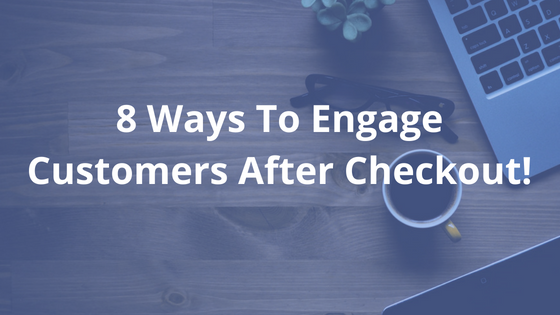 Here are eight ways to quickly improve your customer engagement. It is important to start the engagement process before your customer has reached the checkout page making a big difference to engagement, retention, and loyalty. 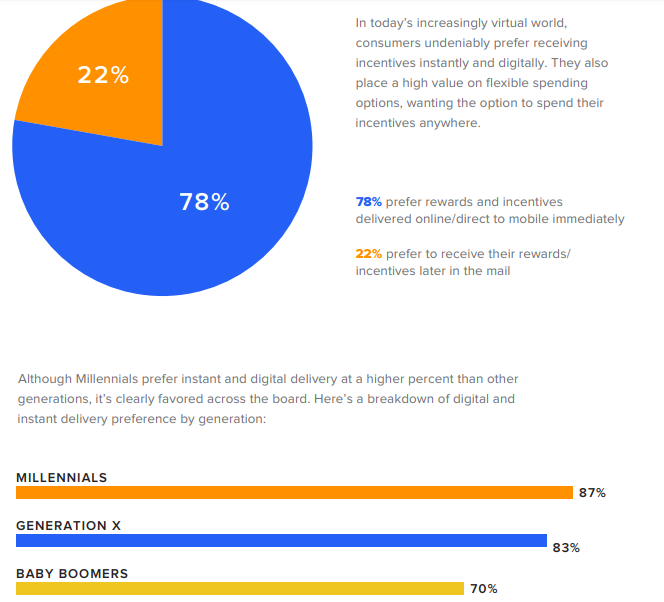 74% of Millennials say they will switch to a different retailer if they have a poor customer service experience. In the past, the ability to engage with customers online during their shopping experience was significantly limited. Thankfully, the advancement of artificial intelligence is making huge improvements in online customer service. With the creation of chatbots, you can now easily implement live chat on your e-commerce site. For instance, Spotify has an addon called Tidio Live Chat that you can install on your website. This means you can now instantly connect with your customers in real-time. It gives you the ability to help them through the entire shopping process and make sure their experience is positive. Research has shown that live chat has a higher satisfaction rate than other forms of customer service and support. You want to make sure your customers don’t immediately forget you after their purchase is done, right? In order to do this, you need to create a lasting impression. There is ample advice out there about how to do this with brick-and-mortar business models. It’s a little more challenging in the online world when the in-person aspect is removed. In other words, you need to think outside of the box in order to create a memorable impression. The good news is that it is still possible to personalize an online experience. The look and feel of your website should be engaging and approachable. You want to remind your customers that you are a real person and not just a faceless company. 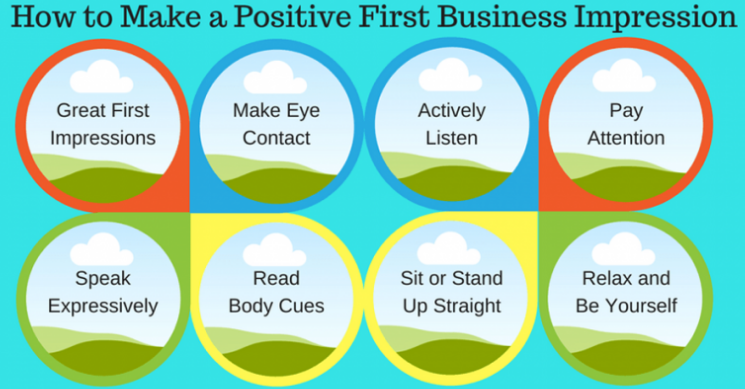 Use normal, conversational language, and share information about yourself and your business. Don’t be afraid to share personal thoughts and stories. In addition to the live chat option, you should have a means for your customers to reach a real person. You can also build an online community or forum so that customers can chat, interact and relate. Make use of videos, virtual tours and other technologies to increase interaction levels and allow customers to see that you’re a real person. Use videos. They can create strong, emotional reactions that will stay with your customers for a long time. It’s been viewed close to 1 million times and has strong engagement. You also can create a memorable experience by offering something new. Keeping ahead of the technological curve can be challenging. However, it’s worthwhile if you can offer engaging experiences your competitors can’t compete with. For example, Google has just launched a new mobile stories option. Companies can use this in an attempt to cash in on the growing consumer interest in Snapchat and Instagram Stories. Another way to create an impression is with your packaging. 50% of online shoppers said that receiving orders in branded or gift-wrapped packaging makes a difference. In fact, it increases the chance they will recommend the product to their friends. You could also take advantage of social media to remain on the top of your potential customer’s minds. Social media is a great way to build a brand connection and continue customer engagement. Social media can be used in multiple ways to strengthen your connection with your customers. It can be used to target your ideal buyers for maximum engagement and retention. For instance, you can use social media advertisements to personally target past buyers. You can use it to offer discounts and coupons coaxing them to come back for more. You can also post videos, host contests and events to extend the conversation. It will increase people’s familiarity with your business and your brand. Social media is a great way to interact with customers; allowing them to see that you’re a real person. Used well, it can build trust and loyalty. Try sharing exclusive content in private social media groups. This can also help boost customer engagement. It allows you to offer them something exclusive that brand-new customers don’t get. Another way to make use of social media is by engaging influencers to help boost your customer engagement. Social media is not the only way to continue the conversation after a customer purchase. One of the easiest and most effective methods is to follow up directly with customers, is to reach out electronically. The number one way to reach out after checkout is with follow up emails. However, that does not mean it is always the best option. To increase your engagement levels, you should use the channels most suitable for your target audience. 51% of U.S. consumers are loyal to brands that interact with them through their preferred channels of communication. For example, according to research conducted by Narvar, SMS messaging is popular with those aged 35-44. Live chat is currently most popular with millennials, and telephone calls are still very popular with baby boomers. Rewards are an important way to keep your customers coming back. Rewards and incentives provide a reason for people to keep shopping with you. The shoppers don’t simply stay with you because the discount offer makes your project cheaper. Incentives and rewards also increase positive feelings about a company. You can create one-time, personalized offers based on customers information and shopping behavior. These can be delivered via any of the electronic methods discussed in the last section. Another option is to offer a loyalty program. Members of loyalty programs spend 12-18% more per year than non-loyalty program members. You can create your own program, specific to your brand and business. Another option is to consider joining a well-known third-party loyalty program, such as Air Miles or Shopkick. A branded tracking page can make a positive impression. It also creates another means of keeping in touch with your customers after they buy your product. Tracking pages attract a lot of attention, with the average user visiting the tracking page at least three times. Each time a customer visits that page is another opportunity for you to connect with your customer and leave an impression in some way. For a more lasting impression, you can create a branded tracking page using a software such as ShipStation. This option allows you to add personalized details such as your logo and company colors. You can also include links to your social media pages, your return policy, and your customer service contact information. You can also provide ads for any promotions you may want to offer. This can increase engagement and strengthen customer attachment and retention. Personalized support and communication based on shopping behavior can help strengthen customer loyalty. 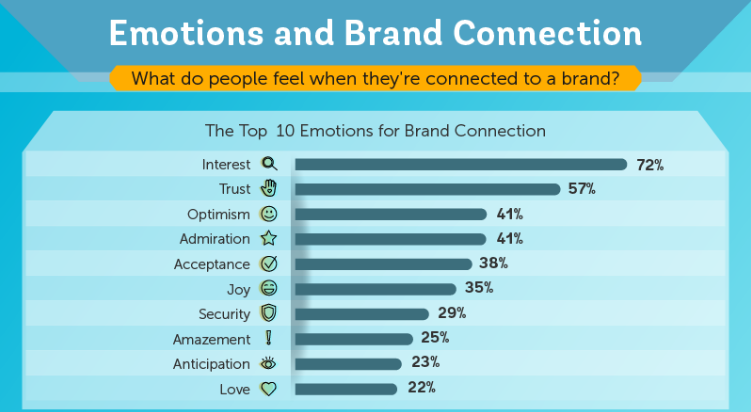 This can deepen your connection to your customer and increase their loyalty. It also provides you with creative ways to promote additional products and interactions. A great example is Sephora’s chatbot. It was designed to help girls getting ready for the prom to receive makeup advice from professionals. The idea successfully engaged their target audience as can be seen in their published results. 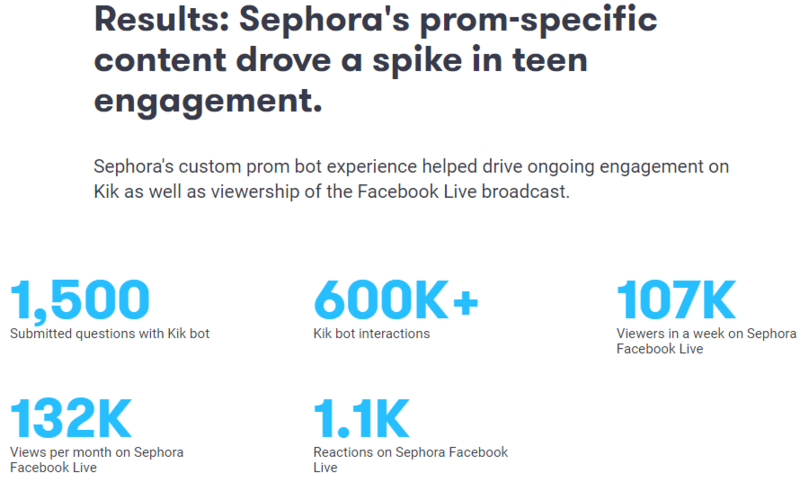 Not only did engagement increase, but Sephora also reported an increase in booking rates and in-store sales. It’s now possible to reorder a product simply by pushing a button or tapping it with a smartphone. For instance, the Amazon Dash Buttons allow customers to order hundreds of products with the push of a button. Even though your company may not be as big as Amazon, you can still make use of this type of technology. It’s possible to have NFC (near-field communication) magnets created for your products. These allow customers to reorder by tapping their smartphone against the magnet. If you don’t want to invest in this technology, or it’s not suited to your target audience, a cheaper alternative is replenishment reminders. These can be emails or text messages set up to automatically remind customers it may be time to reorder. You could include the link to your purchase page or provide a ‘Buy Now’ option on email or SMS reminders for ease of use. You can set the frequency based on the standard purchase cycle of repeat buyers. Another option is to base it on that individual’s average order frequency if you have the data. 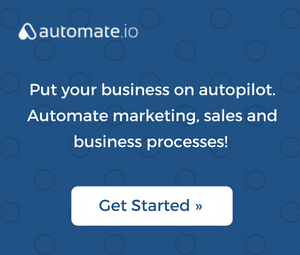 An alternative is to offer your customers automated reordering. This allows them to choose to have additional products automatically purchased and shipped. You can even provide the option for your customers to choose the refill frequency they prefer. 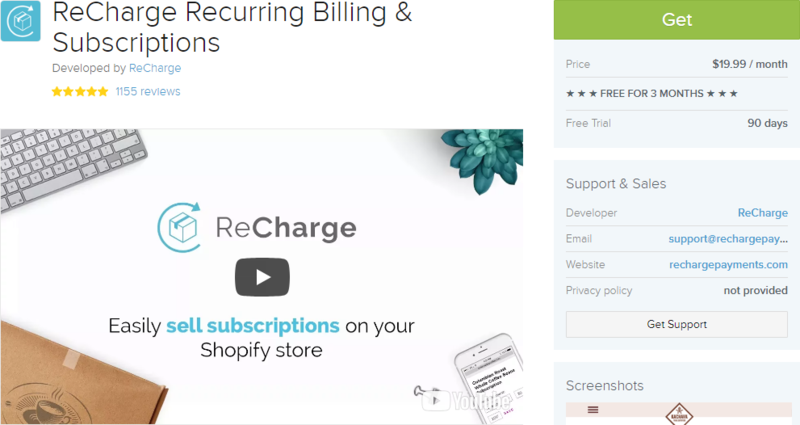 If you use Shopify, there are apps you can choose to include this feature on your site. One such example is ReCharge. Continuing to engage with your customers after they’ve purchased from you can only is important because it is a pivotal moment in their relationship with your brand. It’s a time where you can nurture the relationship or let them fall off your radar. Form a revenue point of view it can help increase direct sales and help you attract new traffic for less of an investment than targeting new customers directly. Repeat customers are the best kinds of customers to have in terms of building sustainable success with your business. We’ve shared with you eight different actionable methods for increasing engagement that you can begin incorporating right away. So invest the time and effort in building out your post-purchase strategies aimed at keeping your customers engaged and likely to return for more purchases. Which method for engaging customers has been most successful for your business?